Once a month I am very fortunate to be one of several women bloggers who participate in a conference call. We discuss a multitude of topics. I look forward to the exchange. On last week’s call, I was struck by a topic brought up by one of our members, Donne, who is the owner of GaGaSisterhood.com. 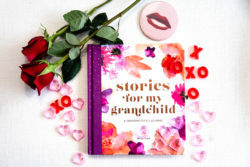 The title of a story she posted, written by another writer, was: Are you denied access to your grandchildren? I was truly shocked at the enormous response Donne received from grandmother’s suffering and grieving because they are not allowed access to their Grands. I asked Donne if I could share the story with you. My purpose is to let you know you are not alone. Please share with me and our community of grandmothers. Hanson ends her book with the hope that by sharing the often-dark decade of her life she may help others find the light in their own lives. Are you alienated from your Grandchildren? How do you deal with the grief? Please share your thoughts on Twitter, Facebook, Pinterest, Instagram or in the comments section below.